Salvaging components is a staple of any electronic enthusiast, but many times those interesting chips – old 8-bit microcontrollers, memories, and CPUs found in everything from game consoles to old computers – are rather difficult to remove from a board. [Ryan] over on Instructables has a rather interesting method of removing old SMD packages using nothing more than a little fire and a pair of tweezers. Obviously the best way to go about salvaging SMD components is with a heat gun, but lacking the requisite equipment, [Ryan] managed to remove a few SMD chips using rubbing alcohol as a heat source. In a properly controlled environment, [Ryan] filled a small metal dish with alcohol, set it on fire, and used the heat generated to remove a few components. Alcohol lamps are a common bench tool in a range of repair disciplines because the fuel is cheap and burns relatively cleanly (not leaving an unwanted residue on the thing you’re heating). It’s an interesting kludge, and given [Ryan]’s display of desoldered components, we’re going to call it a success. It might also work for through-hole components, allowing for easy removal of old SRAM, ROM, and other awesome chips. [Bart] Wanted to try controlling a CNC with his BeagleBone black, but didn’t want to invest in a CNC Cape. No problem – he created his own translator board for RAMPS. LinuxCNC for the BeagleBone Black has been available for a few months now, and [Bart] wanted to give it a try. 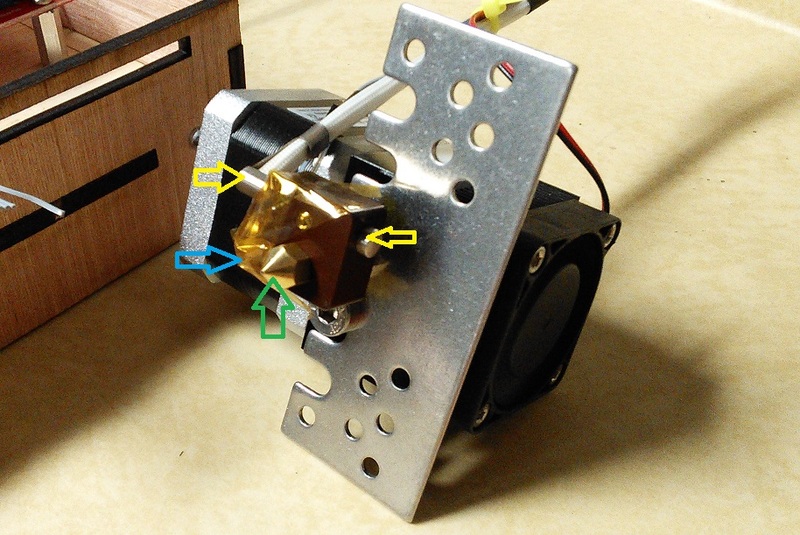 He started experimenting with a single stepper motor and driver. By the time he hooked up step, direction, and motor phases, [Bart] knew he needed a better solution. Need a way to tell the world that you’re mentally ‘out to lunch’? Or what about a subtle hint to others that your current thought process is more important than whatever they are saying? 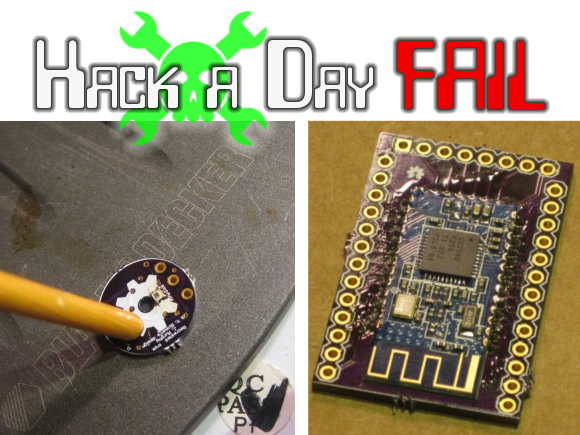 [Caleb Kraft] — who earlier this year bid farewell to Hackaday for a position with EETimes — is heading to the World Maker Faire in New York this weekend, and he decided to build just that device. If you’re heading to Maker Faire too, keep an eye out for his eye-catching Spinning Beachball of Doom. He was inspired by iCufflinks from Adafruit, and ended up with a great little device that is small enough to be worn, or just thrown around for fun. A couple of weeks ago, we linked you to the Adafruit announcement of their new Trinket product line. [Caleb] wasted no time in finding a use for the tiny microcontroller board. He paired it with the Neopixel LED ring, and had it working with just a tiny tweak to the test code. He then used DesignSpark Mechanical to design a 3D-printed case… the most complicated part of the project. It’s too bad his original plan to power the whole thing with button cells didn’t work out, because it could have been a neat (albeit expensive) upgrade to LED throwies. That said, [Caleb] mentions that a small LiPo battery would be a good alternative. This is a fun little project that most anyone could throw together in an afternoon. Don’t be surprised if we start seeing these show up more and more. To see what it looks like in action, check out the video after the break.